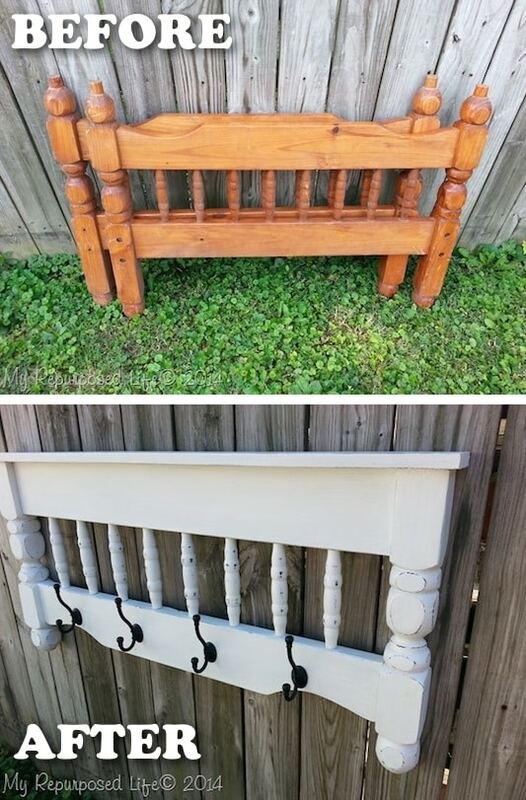 This project has given me a completely new set of eyes when it comes to old furniture. What a difference! 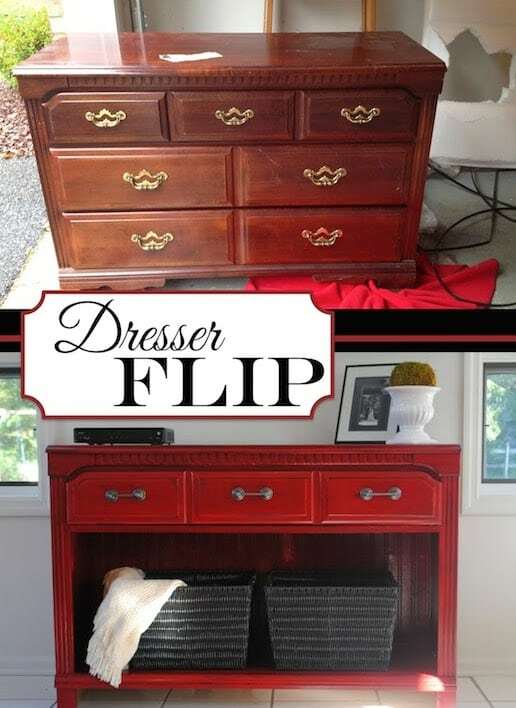 Removing some of the old trim, replacing the hardware, and a little paint are all it took to turn this dresser into a gorgeous TV stand (or buffet/entry table). Go get all of the details and instructions here. Paint those babies and add a few hooks! This would be perfect for a mud room or entry way. I’m thinking that you could also add a wider board to the top to create shelf space. Go get all of the details and instructions here.